3. I was so scared of fake tan disasters with patchy and streaky tan all over the place. However, in recent months, I’ve been experimenting with a couple of different tans and exploring the market. 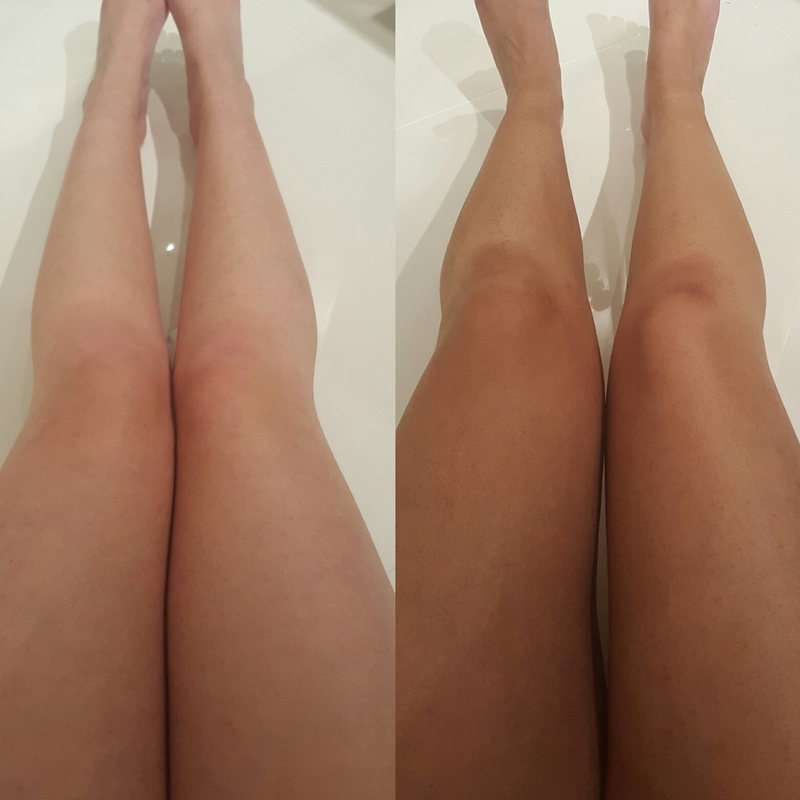 Usually with fake tans, the ones that you put on for it to develop overnight are the long lasting ones, meaning that putting them on in the first place can lead to some dodgy tanning disasters as you can’t always properly see where it’s going, and if you’ve missed a bit. Whilst on the other hand, I find the instant wash on wash off tans pointless. I get that people use them for a one off night out but to me it’ just a faff to mess around spending ages putting on a tan for it to wash off in the shower the next day, is that just me?! Anyway, after falling in love with the Bperect brow powder last year when I visited their stand at Olympia Beauty, I was intrigued by their ’10 second tan’. I’m never one to believe the claims of a bottle and clever marketing so I had to try it out for myself. The Bperect tan does what it says on the tin, it develops in 10 seconds so you can see exactly where it’s going and where you have/haven’t missed a spot meaning you always have a beautiful and flawless finish. However, unlike other instant tan, it’s extremely long lasting which is something that really took me by surprise. I applied the tan SEVEN days a go and I still have a bit of colour! Where it has faded, it has done so naturally and evenly which is always a major plus point for me. Two other massive benefits of this product are that it doesn’t at all smell like fake tan, it has a gorgeous coconut scent, and it doesn’t dry out my already dry skin – something that I find very annoying about fake tans. All in all, to say I’m impressed would be an understatement. Writing this, I’m currently on my way to Munich to run an event and of course the tan is in my suitcase. Being so instant and easy to use, I know I can top it up with minutes to spare. This weekend I had 15 minutes to get ready for a night out and managed to tan my upper body and legs in 5, ready to put my clothes on straight away. My only downside to the tan, which considering the pros, is only a tiny complaint, is that it does transfer slightly on to clothes/bed sheets. I just received an angry text from Luke saying the white bedsheets are covered in tan – whoops. Small price to pay for a product with so many plus points though in my opinion. Let’s hope it comes out easily, I’ll have to let you know on that one. The Bperfect tan is in the higher end bracket of fake tan which is completely to be expected considering it’s qualities. The bottle is large and you can tell there’s a lot of product in there so I think the price is completely fair for the standard of product. Overall, I think Bperfect and their products are highly underrated so it’s important for me to give them the coverage I feel that they deserve as a brand. As mentioned above, I also recommend their Semi-Permanent brow powder, especially for these hot summer months as your brows literally won’t move wearing it. It’s waterproof too so great for holiday. You can see a bit about their brow powder in my ‘what’s in my makeup bag’ vlog, and purchase it on their website. You can also purchase their miracle product, 10 second tan on the Bperect website for £24.99 too. Let me know if you give it a go, or if there’s any fake tans you love that you think may be up for the test against this one. I've never heard of this brand or product, but as a fake tan obsesso I'm always on the look out for new additions to my tanning rituals. The before / after photos of the application look FAB!! It's such a different concept from any tanning product I've tried before too; I've only ever tried gradual tanning sprays (which always betrayed me) or instant mousses... I'll have to have a good stalk of their website.